Aroma – The smell that fills the room before during and after brewing during brewing. For the most part, good aroma signals good taste a few coffees, Jamaica Blue Mountain® most notably, are more fragrant than the others. Off Flavor – described as: Earthy, Green, Oniony, Burnt, Sour and Bitter, Moldy. 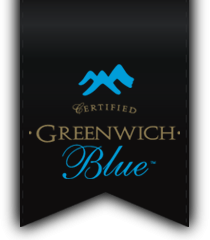 Greenwich Mountain Coffee is renowned for its Chocolaty Sweet taste as well as its Aftertaste. Roast – refers to the temperature and the time at the temperature that the coffee bean is exposed to. The roast ultimately is very?influential in the cup quality of the coffee. Light to medium roasts are usually described as “sweet” or “well-balanced,” while darker roasts are generally more intense and lively, and often bitter.